What Would Mike Do? : The hotel blog: What happens to restaurant/bar tips paid on card and how/when does the money get divided out between staff? What happens to restaurant/bar tips paid on card and how/when does the money get divided out between staff? In a hotel, there's a line item on the night audit form (and any cash reports from restaurants or bars within the hotel that get fed into it), that is either deducted from the hotel's daily deposit (which will include all cash and credit card receipts for that day), or included among a list of cash paid-outs that is itself totaled up and deducted from the hotel's daily deposit; labeled "Charge Tips". 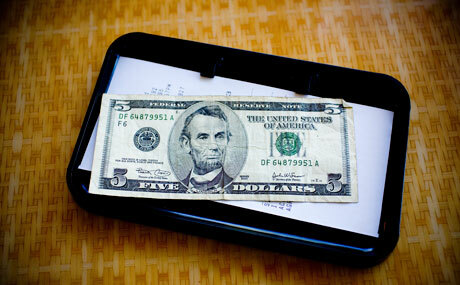 It will be equal to the sum of all server tips charged to a customer's credit card. This allows any tip amount due a server from a customer's check paid with a credit card to be paid, that day, from the cash drawer, without causing the daily deposits to come up short.